When will RCS-1 become a fact of life? How will it affect SNF payments and workflow? Skilled nursing facilities may soon understand what kind of Medicare Part A payment reform is on the horizon and when it will begin. Last May, CMS signaled it is working on the Resident Classification System-1 (RCS-1), a new payment model for SNFs. It released an Advance Notice of their intent to release the payment model through a rule at some point in the future. CMS has received more than 200 comments and recently stated on an Open Door Forum that there is no immediate timeline for RCS-1. However, we expect CMS to make changes to what was released last year. It’s wise for providers to understand where CMS is moving and be prepared for what could be released this year. 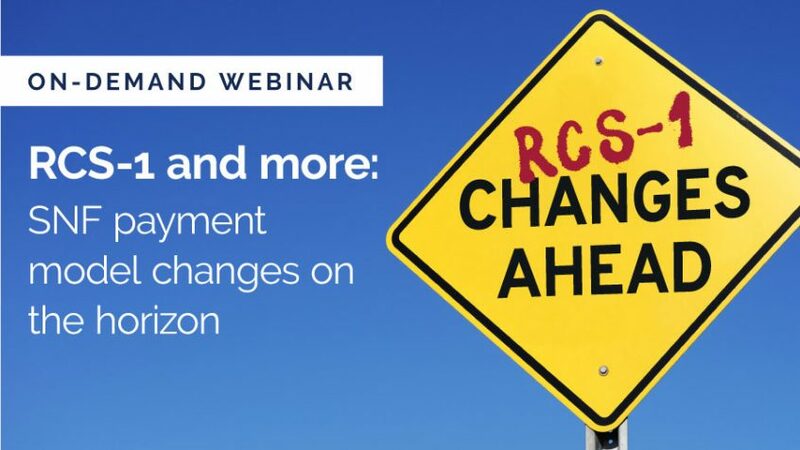 This on-demand webinar will help you understand what RCS-1 changes will mean to your organization and when the changes could take effect. Take advantage of valuable insights from one of our industry’s leading experts on regulatory change. Cynthia K. Morton, MPA, is a national expert on Medicaid, Medicare and other public policy affecting the long-term and post-acute care sectors. 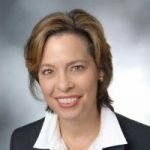 Currently, she serves as the Executive Vice President for the National Association for the Support of Long Term Care (NASL), where she advocates for her members’ interests. Prior to joining NASL, Cynthia served as the Vice President for Political Affairs for the American Health Care Association/National Center for Assisted Living (AHCA/NCAL). Will the RCS-1 webinar have a repeat date? I have a meeting during this time but would love to hear about the upcoming changes. Hi Amanda – We won’t be repeating the live webinar but you can find the recording/handouts on this page. Thanks! I have been unable to print the slides for todays webinar RCS-1 would you be able to send them to me via email. Hi Debra – please visit this page where you can download them as a PDF. Thanks!